For the past 48hours, The price of cryptocurrencies across all markets has been dropping in value quite a bit. 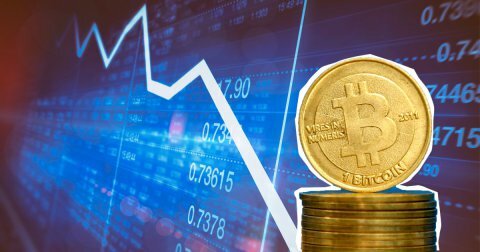 The fall of BTC/USD markets started March 5, after the price reached a high of $11,650 during the evening trading sessions. Following the peak, the value dropped to $10,600 on March 6 losing $1,000 in value. Further, the next day on March 7 after the U.S. Securities and Exchange Commission (SEC) warned about unlawful trading platforms, BTC/USD values slid once again losing another 20 percent. Currently at the moment BTC/USD markets are averaging $9,200, after coasting along at above $9,800 a few hours ago. Volume is a touch higher than last week with $9.3Bn in 24-hour global trade volume. BTC dominance amongst all 1500 digital assets within the crypto-economy is roughly 41 percent today. 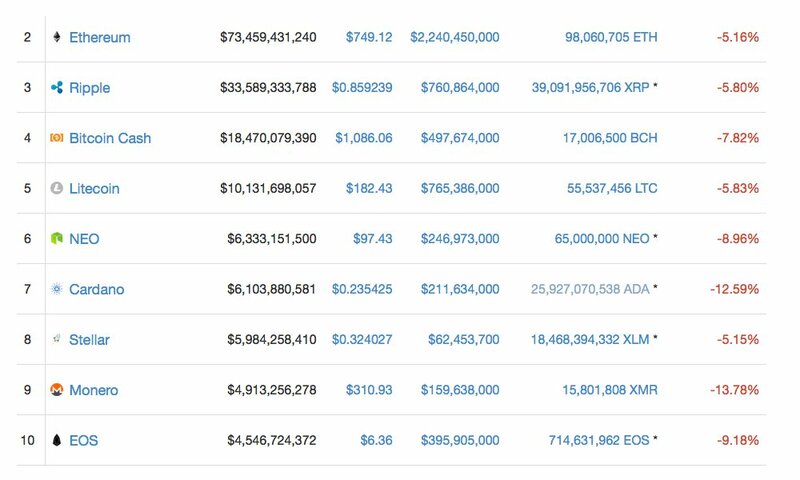 The top 100 cryptocurrencies are all seeing percent losses minus four assets. Most coins are seeing losses between 2-20 percent today. Ethereum (ETH) markets are down 5 percent as one ETH is averaging $749 per token. Ripple (XRP) prices are also seeing losses, and at the moment its values are down 5.8 percent. 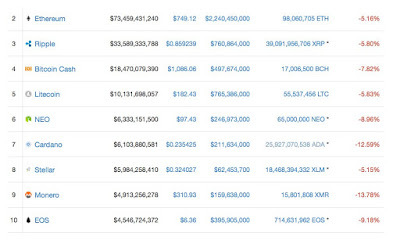 An XRP is roughly $0.85 cents at press time and holds the fifth highest trade volumes today. Do you think crypto will keep falling down? Or there is to be more gains soon? Drop your comments below and subscribe to our newsletter.